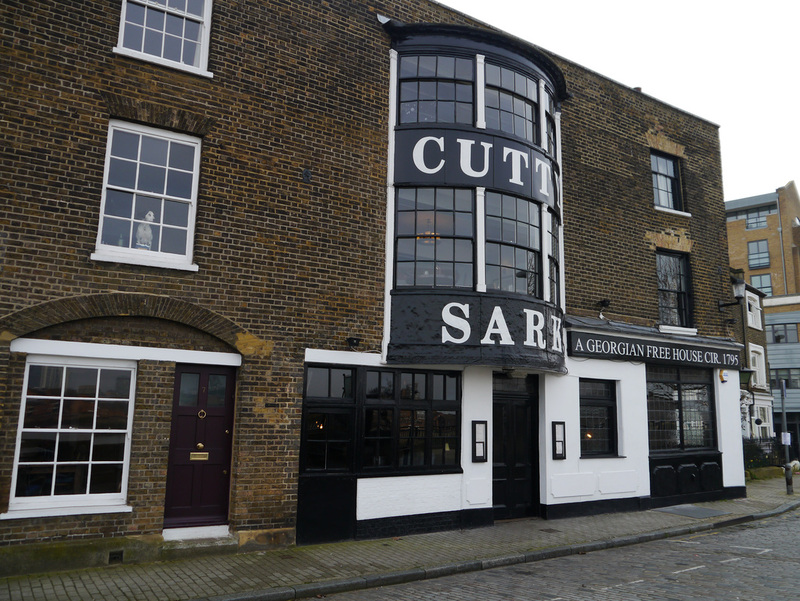 Although the present Cutty Sark building on Ballast Quay dates only from about 1807-1809, there is no doubt that there was a pub on the land long before. In the late 17th-century the site was Dog Kennel Meadow but the gradual development of the streets in the vicinity led to the loss of the old field names. There was a public house here by the very early 18th century but its name is not known – perhaps there was more than one tavern. It was about this period that much re-building took place and although the Cutty Sark has a late 18th-century look, it may have been substantially altered about 160-179 years ago. The pub on this site was known over the decades as the Green Man and then from 1810 the Union Tavern, on Union Place. This name was a mark of the patriotic fervour encouraged by the Legislative Union of England and Ireland in 1801. 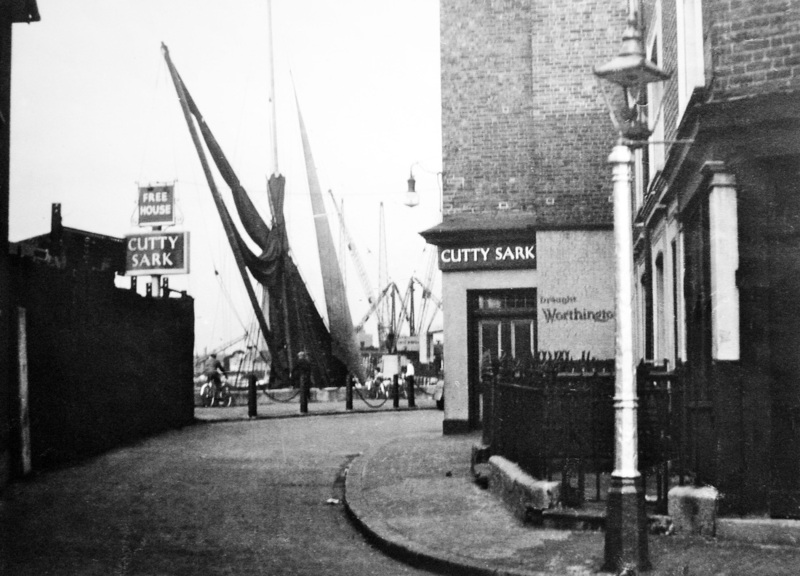 The Union Tavern took the name Cutty Sark when that great tea clipper came to Greenwich first in 1951, and then found a permanent home here in 1954. 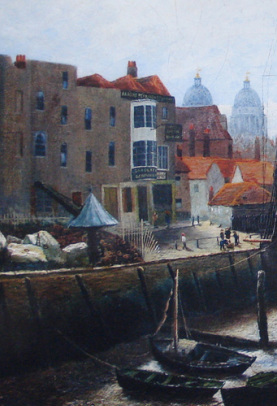 Ballast Quay was not short of public houses in the 18th and 19th centuries. The east side of the great Royal Naval College block (now University of Greenwich and the Trinity Laban Conservatoire of Music & Dance) was not only the most fashionable side of the Town in the early 18th century but also one of the busiest commercially. The Cutty Sark was close to Ambrose Crowley’s great house and warehouse (completed about 1704) that dominated the local scene - gone, alas, and now the site of the overwhelming power station. But the spread of houses and warehouses from the edge of the newly founded Royal Hospital for Seamen (later the Royal Naval College and now the ORNC Greenwich) took over every scrap of land. So closely-packed was the building that there was a row of structures on the strand (like the present Trafalgar Tavern public house), and an additional street at the rear – Crane Street, leading to the Trinity Hospital of about 1613, eventually to Ballast Quay, the Cutty Sark tavern and closing with the Harbour Master’s House of 1855. This stretch of the Thames was a constant hustle and bustle of small shipping from earliest times, loading and unloading, commercial boats, fishing vessels and lighters, many drawn up on the shingle. Although the houses to the south had been built for respectable middle class mercantile men, the river frontage seethed with industrial activity. The Greenwich marshes – to the east – were swallowed up by developing industry; wharves and quays provided direct access from the new factories to the water, import and export on a large scale. It was non-stop, probably day and night, as the tides rose and fell. Everything from coal to ropes, cement, submarine cables, gas and chemicals further to the east and, eventually, arms and explosives. All those working men needed a glass to two to get through their long and exhausting working day. There were at least a dozen public houses within a few moments walk to assist them. (d. 929), daughter of Alfred [the Great] (849‑891), but what concerns this story is that it eventually became part of the Royal Manor held by Henrietta Maria (1609‑1669), consort to Charles I (1600‑1649). Henrietta lost the Manor at the time of the Commonwealth but recovered it with the Restoration. On her death the Manor automatically passed to Charles II and he vested it with his consort Catherine of Braganza (1638‑1705). Probably because of the line of ownership, the acres comprising the Manor of Old Court was sometimes known as the 'Queen's Lands'. obliged to inherit tenants but in July 1663 the Manor was granted by her, on a 99 year lease from 1671, to Sir William Boreman, of Greenwich, a favourite of Charles II and Clerk Comptroller of the King's Household. His tasks included the planting of the avenues of Spanish chestnuts in Greenwich Park. On Boreman's death in 1686 his property passed to his widow (a second wife): Dame Margaret. She used Old Court as collateral with which to raise money and mortgaged portions of it. 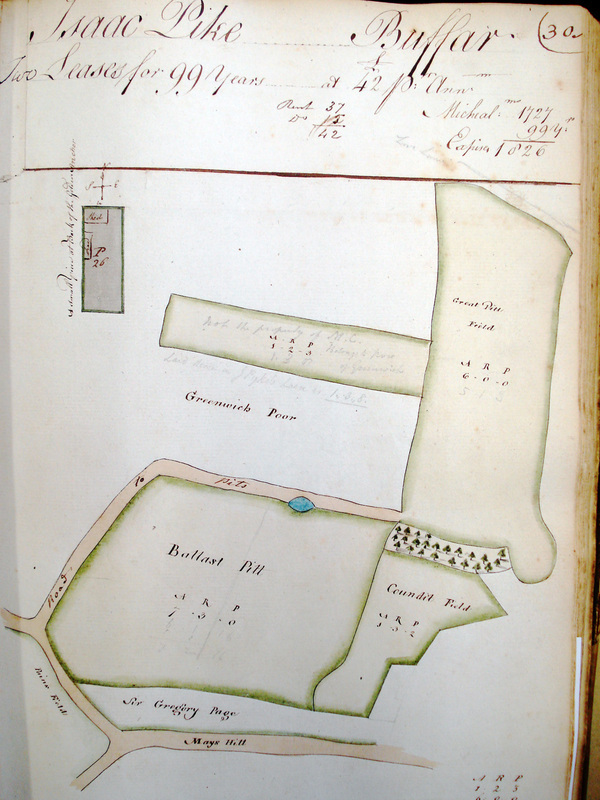 But this was not to prove enough for her needs and, in 1698, consent was granted for the transfer of the entire holding and the remains of the original Boreman lease (which was to expire in 1775) to London merchant John Morden, for the sum of £9,000. In 1699 Morden successfully petitioned the Crown to purchase the freehold. Ballast Quay was a useful part of Morden’s investment in that it took its name from the gravel ballast, dug from the slopes of Blackheath between Westcombe Hill and Maze Hill, and used to ballast ships sailing to distant lands to return with foreign produce to this country. These gravel workings at Greenwich were also part of the Manor of Old Court. Using the income from Old Court Sir John Morden was busy making investments which would help endow his 'Hospital'. The Hospital (or College) was an act of great charity by Sir John in that in 1695 he created a residence for retired merchants of the Turkey Company, and also communicants of the Church of England, who were down on the luck through no fault of their own. In 1708, Morden's estate was held by trustees to the benefit of his widow, Dame Susannah. On her death, in 1721, the interest in Old Court was held by Trustees of the College – and this is the position pertaining today. Morden’s College (as such enterprises were known at the time) was erected on the south east corner of Blackheath, allegedly designed by Sir Christopher Wren but, in truth by Wren’s master mason, Edward Strong. It flourishes today, a handsome red brick structure of considerable architectural merit, providing shelter not just for Turkey merchants but a wide range of retired people, nowadays both men and women. To support it all Sir John’s charity survives, much enlarged by careful investment and husbandry. 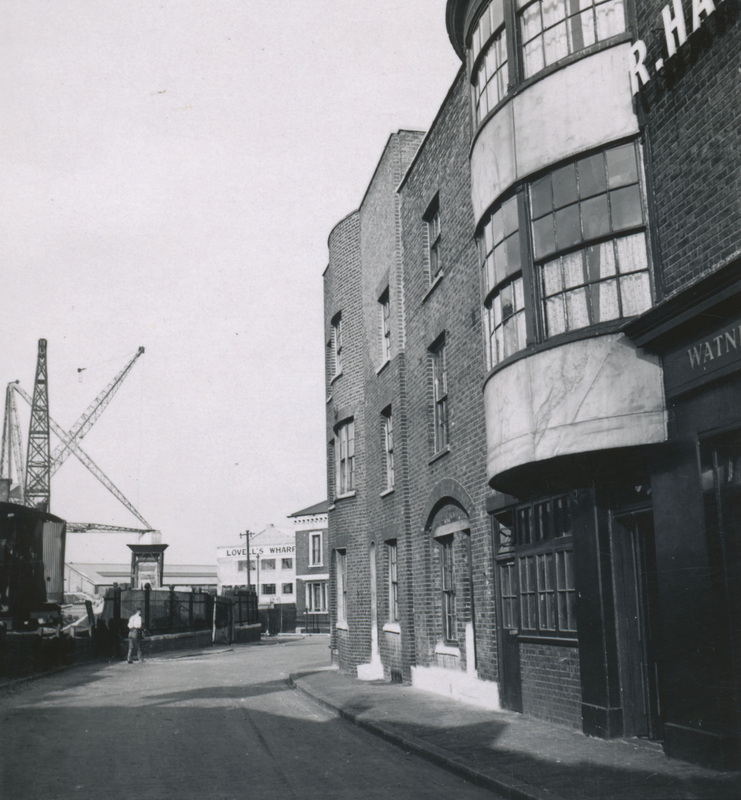 Whatever the industrial and commercial circumstances for Greenwich, there was a serious decline in manufacturing and processing industries in the 1950s and 1960s, with the growth of containerisation, motorway networks and the closure of the London docks. The riverside – in Greenwich as elsewhere – became gentler and less gritty and the factories and wharves and warehouses were replaced or converted into flats and apartments. Ship building and ship fitting virtually disappeared for this section of the Thames with the arrival of the Cutty Sark tea clipper in 1954. The fact that the old ship would be restored and permanently berthed in a dry dock at Greenwich encouraged enormous local patriotism and it seemed a sensible idea to remember the great days of commercial sailing ships by renaming the old Union Tavern (the origins of which had long been forgotten and seemed of little relevance in the 1950s) the Cutty Sark, notwithstanding that the clipper would be berthed on the west side of the Royal Naval College. The tourist has replaced the lighterman, the bargee and the stevedore. Heavy industry disappeared from Ballast Quay. The Royal Naval College gave home to the University of Greenwich and the Trinity Laban Conservatoire of Music & Dance at the turn of this century. Only a handful of those many Ballast Quay taverns of the 19th and early 20th century survive, of which the Cutty Sark is probably the most famous. And the land on which the public house stands is still Morden College property, thus sustaining a strong historical legacy for over 300 years. Long will it continue. 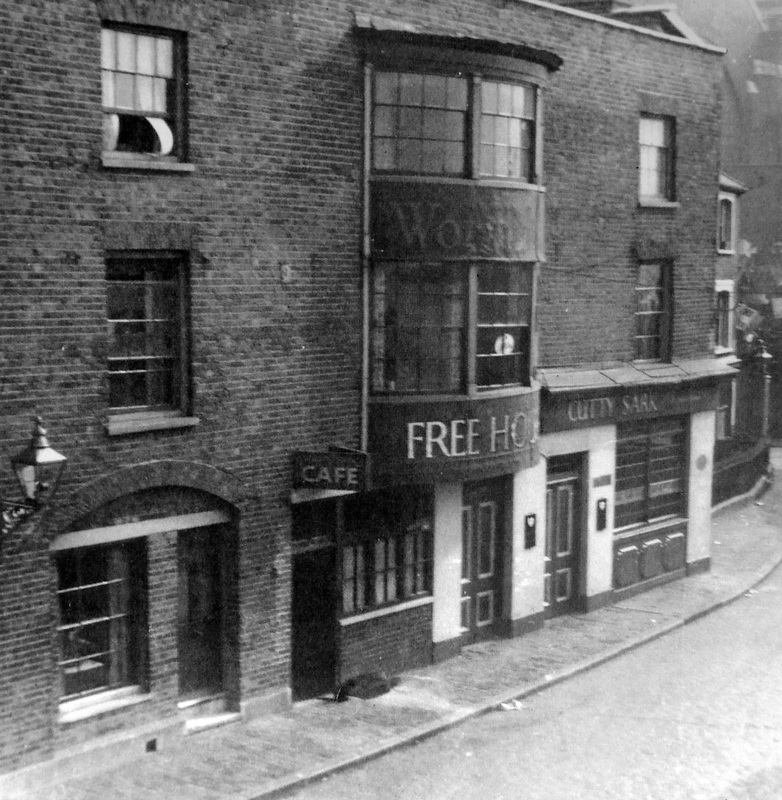 When licensing hours were more restricted than they are today, many pubs offered light refreshments and meals during non-licensed hours. Lease for 99 years granted by Morden College in 1727 to Isaac Pike. The excavation and exporting of chalk and gravel from pits situated on Blackheath and Maze Hill was an important part of the industrial cycle in East Greenwich. Ballast would be brought down Marlborough Street (now Lassell Street) on carts to Ballast Quay to ballast empty vessels for their return journey to home ports. This trade had been flourishing at least since the days of the Abbey of Ghent’s tenure of this area from the 10th to the early 14th century, if not much longer. 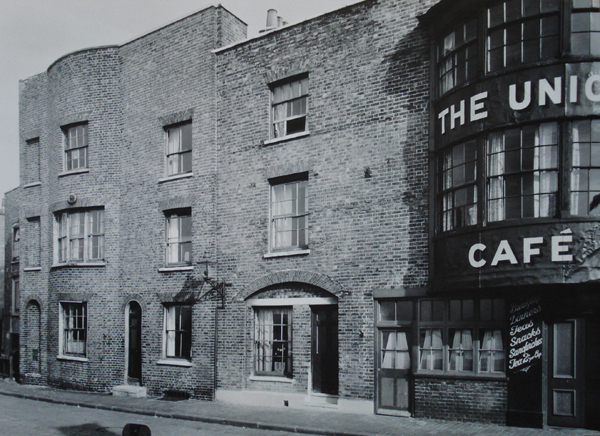 The name changed from Union Tavern following the arrival in dry dock of the tea clipper The Cutty Sark in Greenwich. In the background the sailing barge Pretoria is being re-fitted as a floating home.